Social Media Marketing – Skyrocket your Online Business Growth! Social Media Marketing (SMM) is the new marketing “buzz” that has already made its presence felt in the online marketplace. If you’re using this marketing technique then you’re no stranger to the powers that it renders to online marketers. Before taking a deep dive into understanding the role of social media marketing in online business, let’s first understand – the concept of social media marketing. Newbie’s entering the stratosphere of social media marketing generally believe that merely posting a few blog entries, or acquiring a good number of “hits” and “likes” on the social networks can make them a brand in the social landscape, and thereby can help their business to thrive. However, in reality, social media marketing needs a lot more than the above discussed beliefs and rather needs careful planning and dedication. Online marketers having years of experience in the social marketplace is well-versed with the tactics that let them harness the power of social media marketing. Share your relevant business message. Allow others to share your business message. Leverage social media tools such as online polls, social sign-in/sign-up, Facebook, twitter etc. 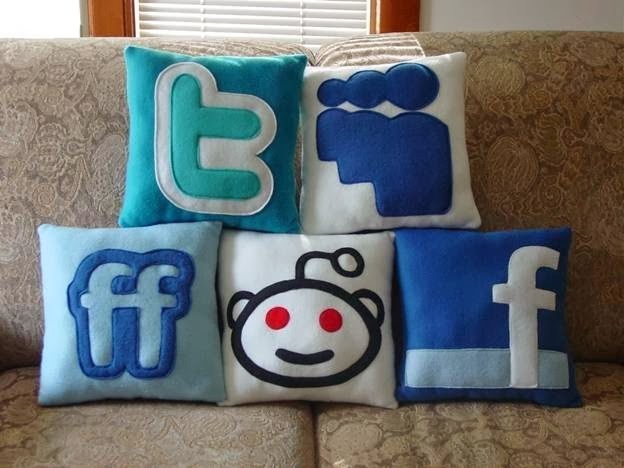 Social media aids marketers to proliferate their business by communicating with customers in a highly relaxed state. How? Let’s have a look at the ways how social media marketing can skyrocket your business growth. Marketing via communication is a great strategy that helps in establishing strong relationship between clients and customers that is bound to strengthen in the long run. Social media has played a major role in bridging the gap between the business owners and their customers by allowing two-way conversation, helping them come face-to-face over the diverse social media channels or networks. 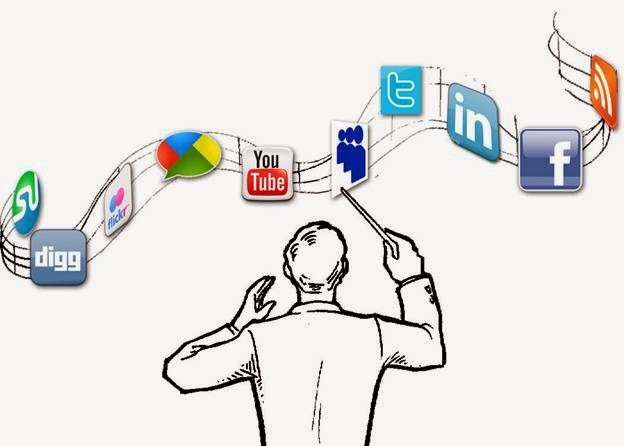 Marketers can link their social media networks to create an interactive marketing campaign. For an instance, you can link your Facebook page to your business website, personal blog page and so on that is running some sort of promotion. If your customers find your links interesting, they will most likely click on the links and will be directed to your social media account where they can get complete information about the promotion. 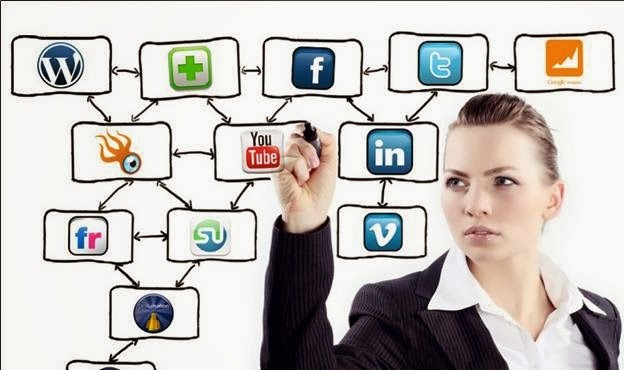 Simply put, apart from adding videos or blog posts, you can also link your social accounts to promote your business. If you wish to be found among top ranking websites on the major search engines, all you need is to enhance your online presence on the web world. This is where social media fits your bill. Social media via powerful marketing channels provides users with sharing capabilities, personal interaction, and access to several other users working/interested in the same domain like you. Thereby, it bestows businesses the knack to publicize their products among people present on the social landscape. Thus, social media let you build new relationships outside your office premises with people spread across the world. It has been observed that people enjoy and prefer being part of an interactive community. In simple words, forming an emotional alliance with your target audience through online community forums can prove to be a potent branding force for your business. And social media offers in building virtually boundless long-term relationship. Seeing social media from marketing perspective delivers businesses good chances to build a huge community of devoted and active customers. What’s more? Even some studies have shown that new-age consumers often make purchases from businesses having an active social network such as a Facebook page, compared to those who don’t. Besides, with over 1 billion Facebook users around the world, there is a massive audience base available to search for your business related products and/or services, to view your posts. Just think of it! Catching the attention of a portion among these users, can let you make huge market share. Social media marketing has today become a valuable asset for marketers that can lead them to success in their social endeavors, so if you haven’t involved social media in your marketing campaign you’re missing a lot of opportunities to expand your presence in the online space. Aforementioned are few reasons that will help you understand the tremendous role of social media that it’s playing in the online business world today. Lucie Kruger is a tech savvy writer who works for a leading Android Application Development Agency.You can also contact her, if you are looking forward to Hire Android App Developer .